I warned just last week about the dangers of letting politicians impose a value-added tax. Simply stated, unless the 16th Amendment is repealed and replaced with a new provision forever barring the re-imposition of any taxes on income, a VAT inevitably would be a new source of revenue and become a money machine to finance ever-larger government. Just look at the evidence from Europe if you’re not convinced. That’s why the VAT is bad in reality. Now let’s talk about why the VAT (sometimes called a “business transfer tax”) is theoretically appealing. First and foremost, the VAT doesn’t do nearly as much damage, per dollar raised, as our current income tax. That’s because the VAT is a single-rate tax (i.e., no class warfare) with no double taxation of income that is saved and invested. In some sense, it’s a version of the national sales tax, except the revenue is collected on the “value added” at each stage of the production process rather than in one fell swoop when consumers make their purchases. And it’s also conceptually similar to the flat tax. Both have one rate. Both have no double taxation. And both (at least in theory) have no special preferences and loopholes. The difference between a flat tax and the VAT is that the former taxes your income (only one time) when you earn it and the latter taxes your income (only one time) when you spend it. In other words, the bottom line is that it is good (or, to be more accurate, less bad) to have a tax system with a low rate and no double taxation. And in the strange world of public finance economists, a system with no double taxation is called a “consumption-base tax.” And the flat tax, sales tax, and VAT all fit in that category. So why, then, if supporters of limited government prefer a consumption-base tax over the internal revenue code, is there so much hostility to a VAT? The answer is simple. We don’t trust politicians and we’re afraid that a VAT would be an add-on tax rather than a replacement tax. Which explains why it’s better to simply turn the existing tax code into a consumption-base tax. After all, the worst thing that could happen is that you degenerate back to the current system. But if you go with a VAT, the downside risk is that America becomes France. There’s a story in today’s Wall Street Journal that illustrates why consumption-base taxation is both a threat and opportunity. Here are some introductory excerpts. U.S. lawmakers on both sides of the aisle increasingly are finding appeal in an ambitious concept for overhauling the nation’s income-tax system: a tax based on consumption, a tool long used around the world. …As the name implies, consumption-style taxes hit the money taxpayers spend, rather than income they receive. One prominent feature of consumption systems is that they generally tax savings and investment lightly or not at all. That, in turn, encourages more investment and innovation, and ultimately more growth, many economists contend. The reporter is wrong about consumption systems, by the way. Income that is saved and invested is taxed. It’s just not taxed over and over again, which can happen with the current system. But he’s right that there is bipartisan interest. And he correctly points out that some politicians want an add-on tax while others want to fix the current system. The tax-writing Senate Finance Committee is giving new consideration to the consumption-tax idea with the hope that its promised boost to economic growth would ease the way to a revamp. …Some of these proposals would have consumers pay another tax in addition to existing state and local sales taxes, while others would merely reshape the current system to tilt it more toward consumption. …Enactment of a broad-based federal consumption tax would align the U.S. with a global trend. 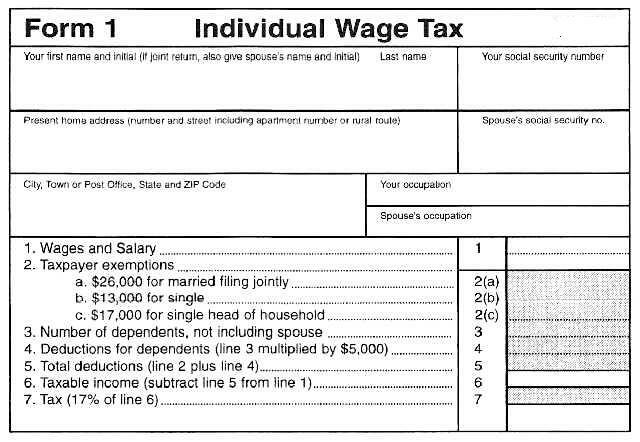 A Democratic Senator from Maryland wants to augment the current tax code by imposing the VAT. Mr. Cardin introduced legislation last year to create a type of consumption tax known as a value-added tax and at the same time lower business taxes and scrap income taxes completely for lower-income Americans. While some GOP Senators want to modify the current system to get rid of most double taxation. Republicans on the working group also are interested in the concept, including a proposal put forward recently by GOP Sens. Marco Rubio of Florida and Mike Lee of Utah. That plan would make several changes to the tax code that would move the nation closer to a consumption-based system. …Many GOP members “believe that there are economic benefits to moving away from taxation of income and toward taxation of consumption,” a Senate aide said. And the story also notes the objections on the left to consumption-base taxation, as well as objections on the right to the VAT. Some liberals are concerned that consumption taxes affect poor people disproportionately, while unduly benefiting the rich, unless adjustments are made. For their part, conservatives fear that some types of consumption tax—particularly value-added taxes—would make it too easy to dial up government revenue collection. So what’s the bottom line? Is it true, as the headline of the story says, that “Proposals for a consumption tax gain traction in both parties”? Yes, that’s correct. But that’s not the same as saying that there is much chance of bipartisan consensus. There’s a huge gap between those who want a VAT as an add-on tax and those who want to reform the current system to get rid of double taxation. This doesn’t mean we shouldn’t worry about the prospect of an add-on VAT. As I warned last year, there are some otherwise sensible people who are sympathetic to this pernicious levy. Which is why I repeatedly share this video about the downside risk of a VAT. And you get the same message from these amusing VAT cartoons (here, here, and here). I’m a long-time proponent of the flat tax for three simple reasons. 1. It replaces the discriminatory “progressive” tax with a single tax rate at the lowest possible level, thus reducing the tax penalty on productive behavior. 2. It gets rid of all forms of double taxation, such as the death tax and capital gains tax, meaning economic activity is never taxed more than one time. 3. Other than a family-based allowance, it gets rid of all loopholes, deductions, credits, exemptions, exclusions, and preferences, meaning economic activity is taxed equally. Some people say that these are also three reasons to favor a national sales tax. My response is that they’re correct. In simple terms, a national sales tax (such as the Fair Tax) is like a flat tax but with a different collection point. If you want more details, I often explain the two plans are different sides of the same coin. The only difference is that the flat tax takes of slice of your income as you earn it and the sales tax takes a slice of your income as you spend it. But neither plan has any double taxation of income that is saved and invested. And neither plan has loopholes to lure people into making economically irrational decisions. Instead of class warfare and/or social engineering, both plans are designed to raise money is the least-damaging fashion possible. So even though I’m mostly known for being an advocate of the flat tax, I have no objection to speaking in favor of a national sales tax, testifying in favor of a national sales tax, or debating in favor of a national sales tax. With this bit of background, you can understand why it caught my attention that an economics professor at the University of Georgia (Go Dawgs!) wrote a column for Forbes with the provocative title of “I Will Support The Fair Tax When Its Backers Tell The Truth”. So what are the implausible claims? Let’s check them out and see if his friendly criticism is warranted. He first expresses skepticism about the claim that take-home pay will rise to the level of gross pay under a Fair Tax, particularly given the assertion that prices won’t rise. …the odds are that your gross pay will shrink over time under the Fair Tax. …employers can offer workers lower pay because of the lower cost of living (same prices, but higher take home pay). Because workers evaluate pay offers based on the purchasing power of that pay, the same competitive forces that will lower prices after the removal of business taxes, will lead to lower pay for employees in the long run as the labor market adjusts. I suspect Professor Dorfman’s critique is correct, but I don’t think it matters. Workers understandably care first and foremost about the purchasing power of their paycheck, and that won’t be negatively impacted. The Professor than looks at whether the Fair Tax gets taxes the underground economy. …let’s tackle the claim that the Fair tax will do a better job of collecting taxes on criminals, the underground economy, and those who underreport their income. The idea is that people may hide some of their income or that drug dealers and others in the underground economy do not report their income, but that everyone spends money so the Fair Tax will tax everyone. Unfortunately, this claim is not true… Retailers are just as capable of underreporting revenue and not sending in the corresponding Fair Tax as people are of underreporting their income. …The incentive to avoid such consumption taxes will only increase when the rate is four or five times what it is now. If you don’t believe consumption taxes suffer from collection problems, go ask Greece. And he looks specifically at taxing criminal activity. Another reason that the Fair Tax will not capture extra revenue from illegal activities is that it only switches which side of the transaction is missed by the tax system. Currently, while drug dealers may not report their income, the people who buy drugs are paying with after-tax income. Under the Fair Tax, the drug dealers will pay tax when they spend their drug profits. However, unless the drug dealer sends in the Fair Tax on their sales, the drug buyers will now avoid tax on their purchases. Under either tax system, one side of the underground transactions will be paying taxes and one will not. I think Professor Dorfman is correct, particularly in his explanation that drug dealers and other criminals will not collect sales tax when they peddle their illicit goods. And he’s also correct when he says that the Fair Tax won’t collect all taxes on legal products. But that doesn’t mean the Fair Tax is somehow flawed. Indeed, it’s quite likely that the underground economy will shrink under a national sales tax since the incentive to evade tax (on legal products) is a function of the tax rate. So if we replace the punitive high-rate internal revenue code with a low-rate Fair Tax, there will be a higher level of compliance. But not zero evasion, so Fair Tax supporters exaggerate if they make that claim. The next point of contention is whether the IRS can be repealed under a Fair Tax. …some agency needs to collect all the sales taxes, ensure retailers are sending in the full amount, and handle all the mechanics of the prebate. The prebate requires this federal agency to know everyone’s family size and have a bank account or other method of sending out the prebate each month. So while individuals will have less interaction with the federal tax agency, there will still be some. For retail businesses, their interactions with federal tax officials will be at least as much as now, if not more. The Professor is right, though this may be a matter of semantics. Fair Tax people acknowledge there will be a tax collector (the legislation creates an incentive for states to be in charge of collecting the tax), but they say that the tax authority under their system will be completely different than the abusive IRS we have today. Last but not least is the controversy over whether everyone benefits under a Fair Tax. …while Fair Tax proponents often act like nobody loses under the Fair Tax that is simply not possible. If the Fair Tax is implemented in a revenue neutral manner (collecting the same amount of total revenue as all the taxes it replaces), and some people win then other people must lose. Poor people pay roughly no tax either way, so the Fair tax would be neutral for them. The very rich will assumedly pay less since they spend a lower percentage of their income and spend more overseas. Thus, the suspicion is that the middle class will be paying more. One other group pretty sure to pay more is the elderly. The elderly have paid income tax while earning income, and under the Fair Tax would suddenly pay high consumption taxes right when their income drops and their spending increases. In the long run, this is not a problem, but early in a Fair Tax regime, the elderly definitely are losers. Once again, Professor Dorfman is making a good point (and others have made the same point about the flat tax). My response, for what it’s worth, is that supporters of both the flat tax and national sales tax should not be bound by revenue neutrality. Especially if the revenue-estimating system is rigged to produce bad numbers. Instead, they should set the rate sufficiently low that the overwhelming majority of taxpayers are net winners. And in the long run, everyone can be a net winner if the economy grows faster. And that, as Professor Dorfman agrees, is the main reason for tax reform. The Fair Tax really has much to recommend it. It is simpler than the current system. It causes fewer distortions in the daily economic decisions that people make. The main distortion it does introduce is positive: to encourage saving and discourage consumption which would make the country wealthier in the long run. Though I would quibble with the wording of this last excerpt. I don’t think the Fair Tax creates a pro-savings distortion. Instead, it removes an anti-savings bias. Just like the flat tax. Now let me add a friendly criticism that Professor Dorfman didn’t address. Advocates of the Fair Tax correctly say that their proposal shouldn’t be implemented until and unless the income tax is fully repealed. But as I explain in this video, that may be an impossible undertaking. To be blunt, I don’t trust politicians. I fear that they would gladly adopt some form of consumption tax while secretly scheming to keep the income tax. P.S. Actually, what I really want is a very small federal government, which presumably could be financed without any broad-based tax. Our nation enjoyed strong growth before that dark day in 1913 when the income tax was imposed, so why concede that politicians today should have either a flat tax or Fair Tax? But that’s an issue for another day. In recent months, I’ve displayed uncharacteristic levels of optimism on issues ranging from Obamacare to the Laffer Curve. But this doesn’t mean I’m now a blind Pollyanna. We almost always face an uphill battle in our efforts to restrain the power and greed of the political class. And in some areas, such as the fight for pro-growth and humane tax reform, I see very little reason for hope. In honor of tax day, I explained my pessimism in an article for The Daily Caller. I outlined four reasons to be glum, starting with the fact that tax reform yields big benefits in the long run, but that isn’t a very compelling argument for politicians that rarely think past the next election. Our tax code is now a 74,000-page monstrosity, and it seems that politicians make the system more convoluted every year with new credits, deductions, exemptions, preferences, exclusions, and other special provisions. …In theory, it makes sense to scrape off these barnacles and restore the ship… Our political system, though, is dominated by lawmakers who tend not to think past the next election cycle. I then mention that too many people now see the tax code as a tool for directly taking money from others. …a growing number of Americans now see tax returns as a vehicle for getting money from the government. I’m not talking about the fiscal illusion that results when some people over-pay their taxes and then are happy to get a refund. …I’m talking about a different crowd. There are now millions of Americans who benefit from redistribution programs that are laundered through the tax code. …“refundable” credits allow people to get checks from the government even if they didn’t pay any tax. …Needless to say, those people don’t have much incentive to oppose the current system. My third concern deals with the under-appreciated fact that the Washington establishment gets rich from the current system. The metropolitan DC area is now the wealthiest region of the nation; it includes 10 of America’s 15 richest counties. …One of the main sources of that unearned — and undeserved — prosperity is the tax code… many people make big bucks manipulating the tax code. Lobbyists obviously would hate a simple and fair flat tax… Many of these insiders are former politicians and former Capitol Hill staffers — particularly those that worked on the tax-writing committees. They make big bucks, and the current staffers look forward to the day when they can cash in on their “government service” and start “earning” huge salaries. Needless to say, these people are not exactly advocates of reform. Last but not least, I explain that high-tax governments are undermining tax competition with financial protectionism, thus giving them more leeway to impose bad policy. Beginning with the Reagan and Thatcher tax cuts, the world experienced a virtuous period of tax competition that lasted for about 30 years. Even politicians in statist nations such as France and Germany felt compelled to lower tax rates… In recent years, however, high-tax nations and left-wing international bureaucracies such as the Paris-based Organization for Economic Cooperation and Development have worked to undermine tax competition and make it easier for politicians to impose class-warfare tax policy. They first went after so-called tax havens… Now the OECD has a new plan to go after multinational companies and significantly boost their tax burdens, presumably through the creation of a global tax return and a policy called “formula apportionment.” …every time they make progress, politicians feel less pressure to lower tax rates and reform tax systems. Why bother improving the tax code, after all, if you think that taxpayers have no choice but to submit? I also should have added another big challenge. In the absence of good entitlement reform, the burden of government spending will dramatically increase in coming decades and create pressure for additional tax hikes. That’s not an environment conducive to tax reform. Unless, of course, you’re a politician and you somehow think adding a value-added tax on top of the current income tax can be considered reform. P.S. I’ve referenced the flat tax in this post, but all of these obstacles also explain why there’s even less chance of a national sales tax. What do the flat tax and national sales tax (and even the value-added tax) have in common? As I explain in this Senate Budget Committee testimony, they are all single-rate, consumption-base, loophole-free tax systems that fulfill the key principles of good tax policy. But good theory doesn’t operate in a vacuum, which is why I make several additional points. 1. Echoing George Will, something like a VAT should never be implemented unless the income tax is completely abolished. 2. It’s impossible to have good tax policy if government is too big. 3. A proper definition of taxable income is necessary to understand what’s a loophole and what’s not. 4. Tax revenues already are projected to significantly increase over the next few decades because of “real bracket creep,” meaning than a rising burden of spending accounts for more than 100 percent of America’s long-run fiscal challenge. 5. If you want the rich to pay more tax, keep tax rates reasonable. On a personal note, I’m irked that my jacket is riding up on my shoulders. I’ve been trained to sit on the tail of my jacket when doing TV interviews, and I should have remembered that lesson during my testimony. But at least I’m wearing my Bulldawg tie, so that compensates.